The Lynn Riggs Black Box Theatre at OkEq is one of the newest performance venues in Tulsa. Pat has taken the lead to assure the facility is utilized to its fullest potential. 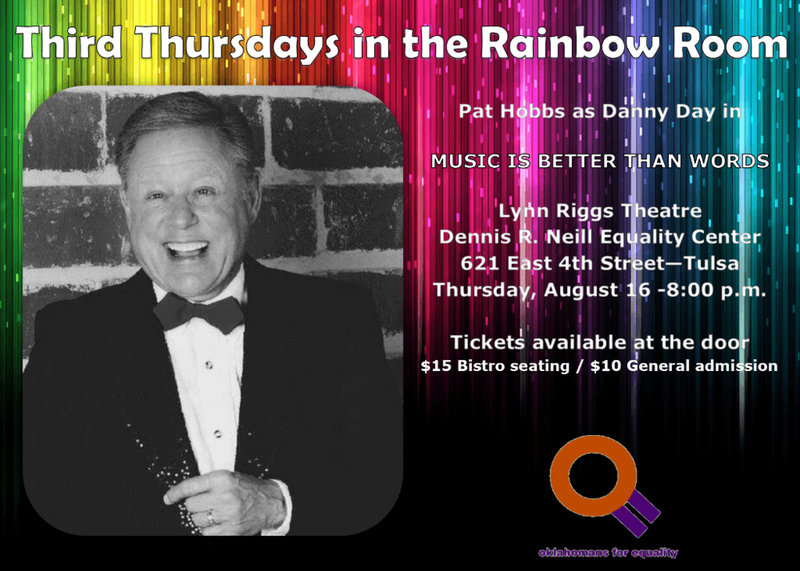 His nickname “The Rainbow Room” stuck, and Pat is now producing a monthly series of cabarets called THIRD THURSDAYS IN THE RAINBOW ROOM.